AFCK model 806 LE blue and black handles number 264 of 400. I haven't been able to put my 940-1 down since I got it. edamhcneb, morisboeuf, Jazz123 and 1 other person like this. Attempt at a mouse to cover address's. LTD504 and BenchMEDAL like this. 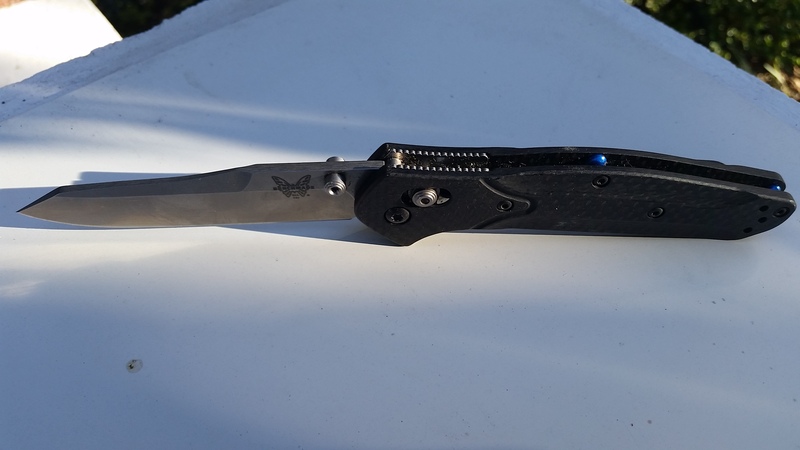 810 w/ smoothed handles spikes for work and 940-1 tonight. 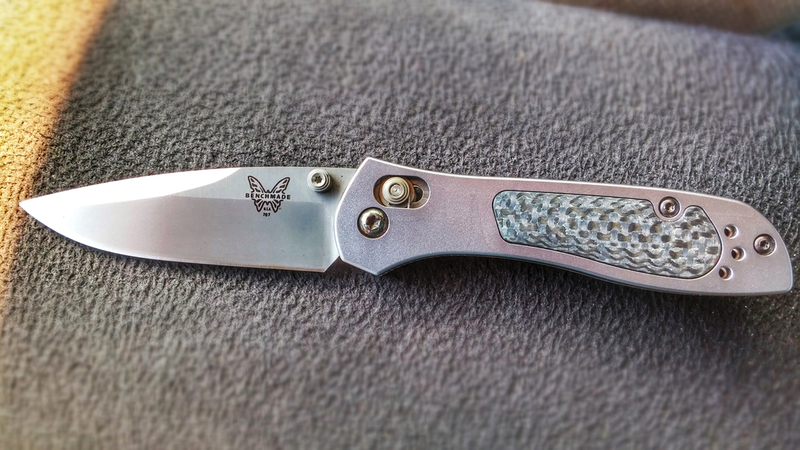 Havent seen either of these custom scales before. Who made em if you dont mind me asking? Hey Ulf , the aluminum ones are from Applied Weapons Technologies. The top is Applied weapons tech 6061-t6 aircraft grade aluminum, i have a set on the way now. they run about 80$ but for the next few days they have an ebay sale for 60$. Thats when i decided to grab a set in black. AWT is a great company that is run by a wounded vet who just wants "made in America" to be on every item he owns. Thanks Matt and MB. Never heard of them before. Their scales are vey reasonably priced. Will end up with a pair. Yep, they are very nice. As info mine are the dark earth with orange backspacer. I couldn't find a picture of the FDE when I ordered so this is a pretty true to life example of that color. Workingsloth777, BM-EDC, 83Rambo and 1 other person like this. got my 950bk-1 on me today. Ulf, the bottom scales are a material called "juma" and most likely made by "Keyman". 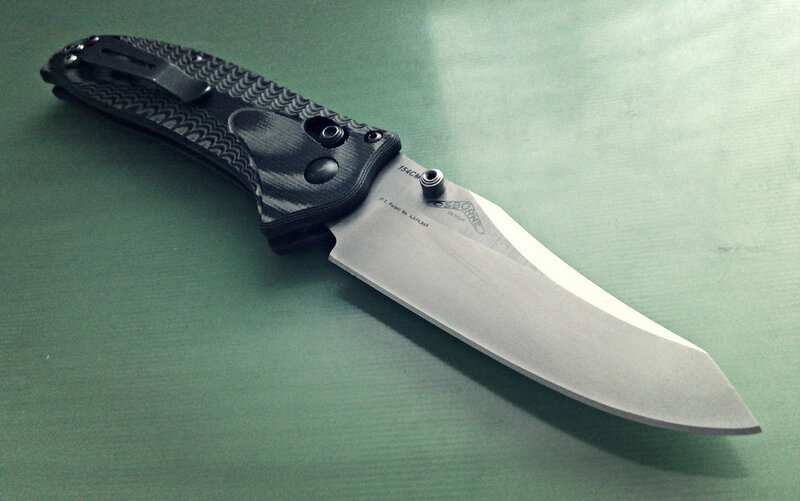 He's a bladeforums.com member and makes amazing benchmade scales, griptilian being one of his big specialties (cause we all know Grips especially Doug Ritters have great blades but lousy plastic handles. Look him up and support a fellow member!